High quality, bookmarkable sites for the average geek and gamer are hard to come by these days, as there is just so much filler to wade through. You know the process: you spend four to six hours out of your precious weekend during your downtime just surfing the web, looking for something – anything – new and creative. And then you find something, a glimmer of hope, only to have it quickly dashed when you see the last post on the front page was from two years ago. Then rage usually ensues, a laptop is thrown, and you go find something else to do. Since it’s still early on in your weekend, we thought we’d share an awesome Geek entertainment site that is not only high quality, but updates regularly; in other words, this one’s bookmarkable! The site’s called Forces of Geek, and it is most definitely a site we like here at LFG. More on the story below! 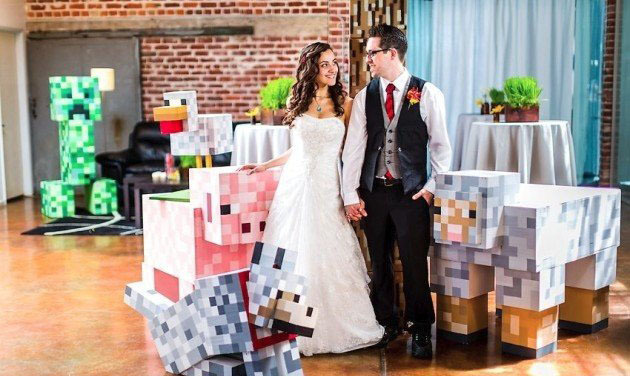 We first found Forces of Geek a few months ago when we stumbled upon a topic that is near and dear to LFG’ers everywhere – video game weddings. And then we saw the ridiculous amount of contests they run for the FoG community, and we were hooked. Regular updates, creative homemade content and free stuff: it’s that lethal combination that every geek and video gamer needs, even though it may take us days or months to find! We plan on plugging FoG’s great content quite a bit here in the near future, but head on over there today and say hello! And from the entire LFG office, have a great weekend!